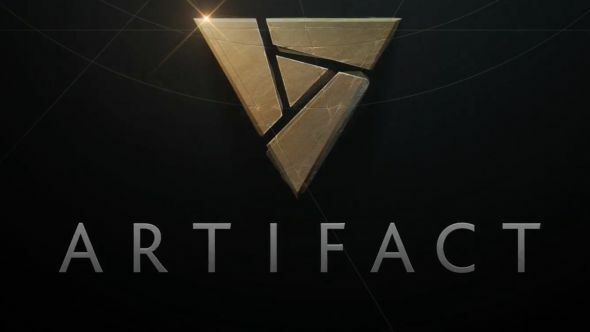 Valve’s Artifact is perhaps more infamous than anticipated at this point – just remember the groans accompanying its original announcement – but don’t forget that this is still a new game from the the company that now develops one of the most popular competitive games in the world. And it seems they’re already in contact with potential pro players to ensure that Artifact will be in top competitive shape. Perhaps I could interest you in the best Dota 2 heroes for beginners? Russian esports outlet CyberSport.ru spoke with Virtus.pro GM Roman Dvoryankin about the upcoming Dota card game (translation via Reddit), and it seems VP players will be among the first outside of Valve to get their hands on it. Artifact is apparently already playable at Valve’s headquarters. Several people from the World Esports Association have played the game, and are excited about the possibilities – though there’s naturally a non-disclosure agreement currently in effect. The initial teaser pointed to a 2018 release for Artifact, and if Valve are already bringing in outside perspectives on the game that might just be a reasonable timeframe, at least for some sort of beta release. The real question will be how much the game’s reception will be affected by the negativity from old-school Valve fans upset at the fact that Half-Life 3 is (probably) never going to happen.